Meters Bulk Handling : ARK Petroleum Equipment, Inc.
Total Control Systems, was formed in 1995 to manufacture and market the 682-piston flow meter line, which had been purchased from Tokheim Corporation in the same year. 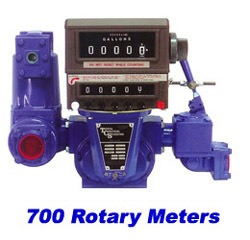 Because of the 682-piston flow meters low volume capacity, TCS expanded its product line in 1999 to include the 700-rotary flow meter to meet the demand for the higher volume capacities. Total Control Systems flow meters are created by some of the most state of the art machining centers available to date while using sound engineering principles, to ensure the precise accuracy tolerances that we require to maintain our conformance to Weights and Measures. 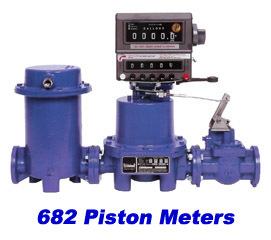 Each flow meter is completely assembled and tested by highly skilled members of our production team whom strive for the highest level of excellence and performance to guarantee the finest quality and dependable service that we can provide.